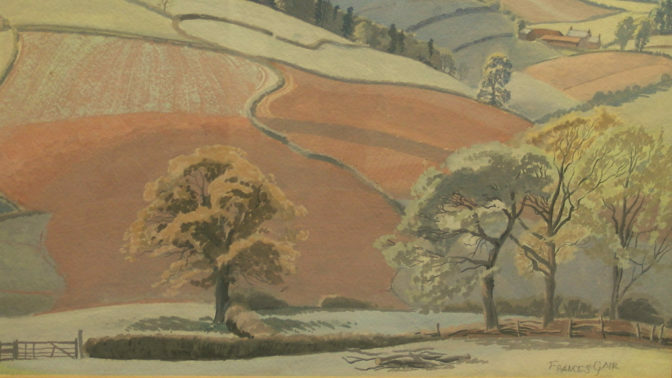 Mon 21 Jan to Fri 5 Feb.
Halsway Manor is delighted to be holding a temporary exhibition celebrating memories of Halsway Manor, and focusing on two key figures in Halsway’s history: painter Frances Gair Wilkinson and folklorist Ruth Tongue. Following the success of Somerset Open Studios exhibition in 2018 visitors will get another chance to see elements of contemporary artist Andrea Oke’s Shadowlands project which was inspired by Ruth and exhibited as part of Somerset Open Studios 2018. In addition to the two exhibitions there will also be a display celebrating personal memories of Halsway from those who have visited the Manor since 1965. Its also an opportunity to view the new permanent interpretation boards which bring the story of Halsway Manor to life in new and interesting ways.